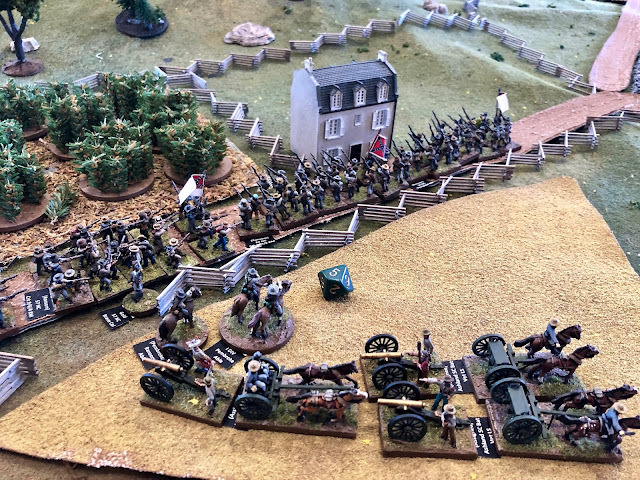 A few weeks back my friend Stewart invited me over to play a three-vs.-three game of Regimental Fire and Fury, my first ever game of American Civil War gaming. 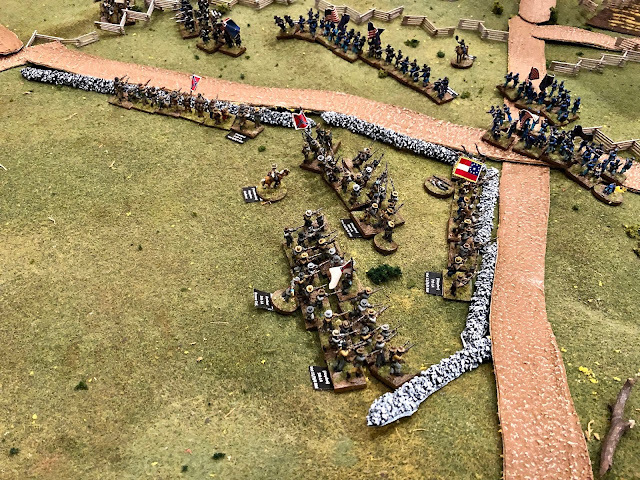 The forces were randomly generated and the scenario was simple: the US forces were to attempt to flank the Confederate forces, and drive them from the field. 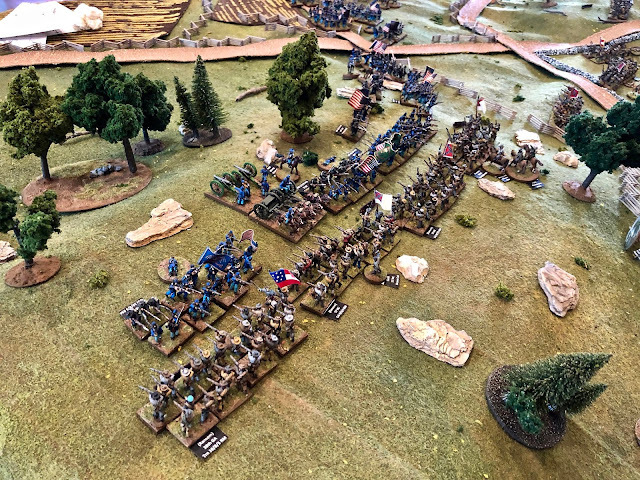 I was assigned a brigade of Confederates from Georgia. North Carolinian troops arrive on the Confederate left, supported by a battery of guns. 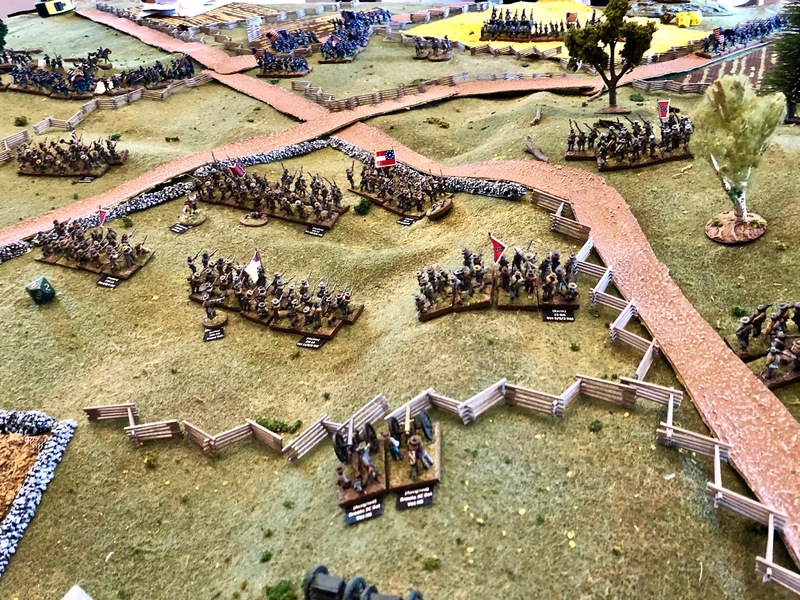 The Confederate center, manned by Louisianans, and some of my Georgians moving forward along the road to form the right. Union troops advance on the left, but are met in the woods by the rebels. This area would see fierce hand-to-hand fighting. 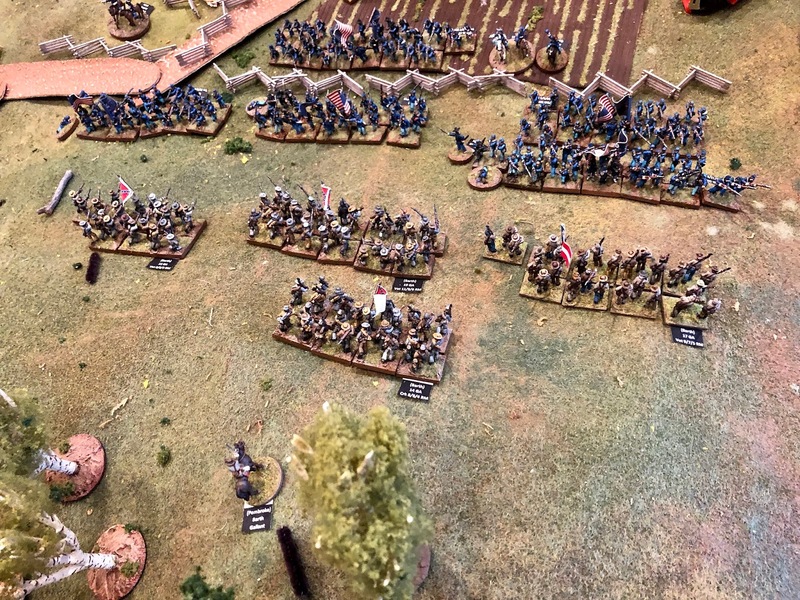 My Georgians would hold the wooded right flank against repeated charges from Union soldiers. The center would also see fierce fighting, as the Union guns could fire here unimpeded by woods. These stone walls would be the only defense against the larger numbers of the Union army. After many turns and many casualties on both sides, we called it a draw. Both armies had reached their morale limit, and were mostly spent. Thanks for hosting Stewart!